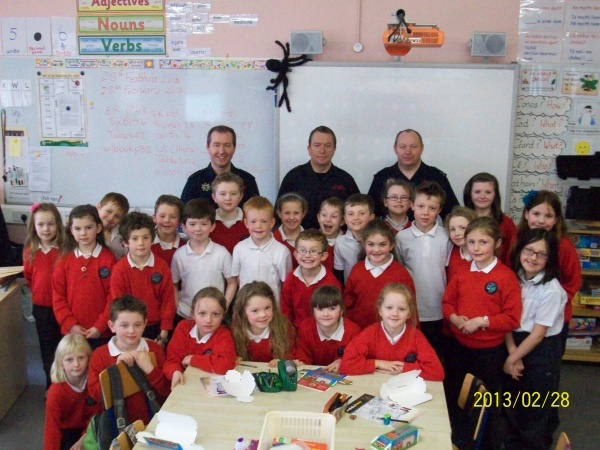 Last week, the children in 1st, 2nd and 3rd class had a visit from the local firemen about fire safety in the home. 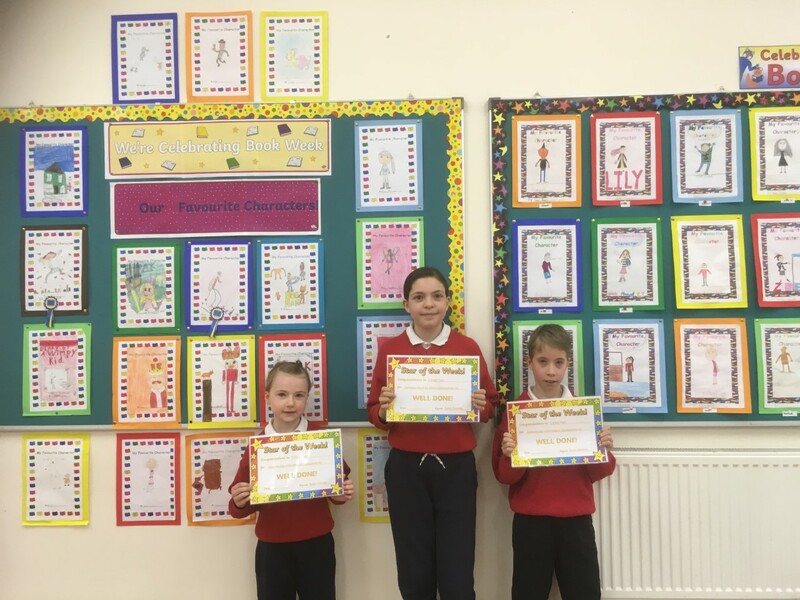 The children listened to Richard Barrett, William Sherwood and Philip O’Neill discuss the dangers in a house which may cause a fire. The children had to identify these dangers on a worksheet. The firemen also discussed what to do in an emergency, such as calling 999 or 112. 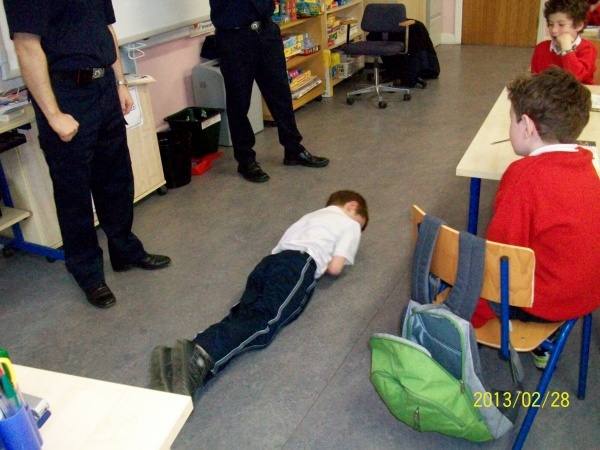 A pupil in the class had to demonstrate how to stop, drop and roll if his clothes caught fire. 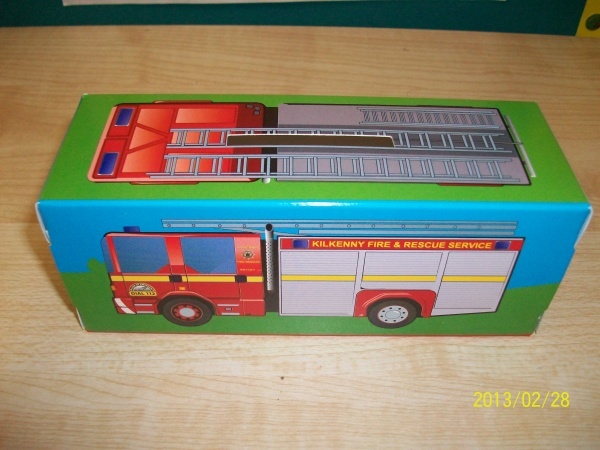 Each child received a money box from the Kilkenny Fire Service. A huge thank you to Richard, William and Philip for a very informed talk! 2 Responses to Fire Safety For Everyone!